Worldwide, self-checkout terminals are projected to rise from 191,000 in 2013 to 325,000 by 2019. A survey of multiple countries found 90 per cent of respondents had used self-checkouts, with Australia and Italy leading the way. We now visit our supermarkets more frequently than ever before, two to three times per week in fact. This means our basket contains fewer items and being able to wander up to a self-checkout, with little to no wait time, has been an expedient way to shop. Most shoppers consider self-checkouts both fast and easy to use. Although this varies with age – 90 per cent of shoppers aged 18-39 found self-service checkouts easy to use, only 50 per cent of those over 60 years said the same. Wages represent around 9.5 per cent of supermarket revenue in Australia, and reducing wages is one of the reasons proposed for the uptake of self-checkout. 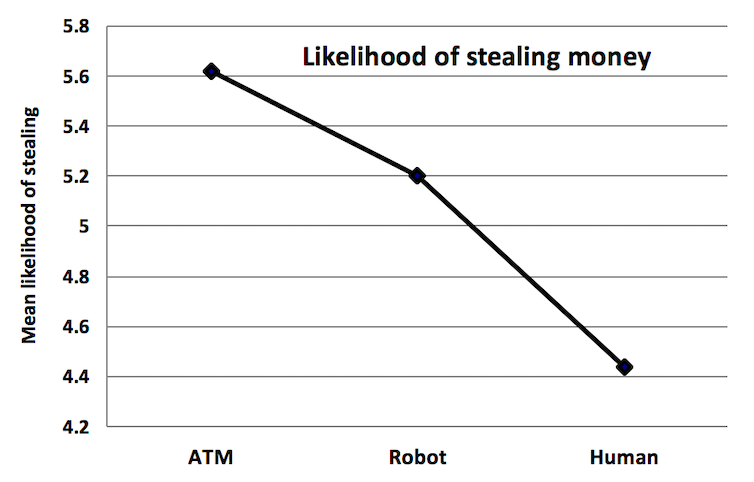 There is reason to believe that rates of theft are higher on self-service machines than regular checkouts. A study of 1 million transactions in the United Kingdom found losses incurred through self-service technology payment systems totalled 3.97 per cent of stock, compared to just 1.47 per cent otherwise. Research shows that one of the drivers of this discrepancy is that everyday customers – those who would not normally steal by any other means – disproportionately steal at self checkouts.